The last time I put together a favourites post was back in December 2014 – yep you read that correctly. I’ve always been unsure as to whether I really have anything to contribute by way of monthly favourites type posts, essentially because I’m not a lifestyle or beauty blogger. However, I do like a lot of things in terms of arts and entertainment and I never pass up a chance to gush about them. So I thought I’d give it another shot in case I accidentally share something someone else finds and likes too! How can I begin to explain this book? Ok, it’s like Buffy the Vampire Slayer still demons and demon slaying meets secret societies meets Jane Austen/Regency society, complete with balls and carriages and paying calls to friends and drinking tea. 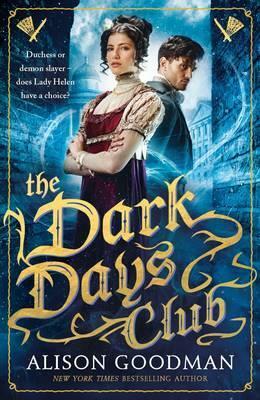 If you enjoy Pride and Prejudice but think, hey, this would be improved if Lizzie Bennet was a demon hunter (no, not like the and Zombies adaptation) who was introduced to her calling by a brooding Mr Darcy, then The Dark Days Club might have something for you. On a complete separate and more domestic note, the relationship between the main character, Lady Helen, and her maid, Darby, reminds me so much of the relationship between Lady Mary and Anna in Downton Abbey so if you’re here for female friendships, the book is also good for that. 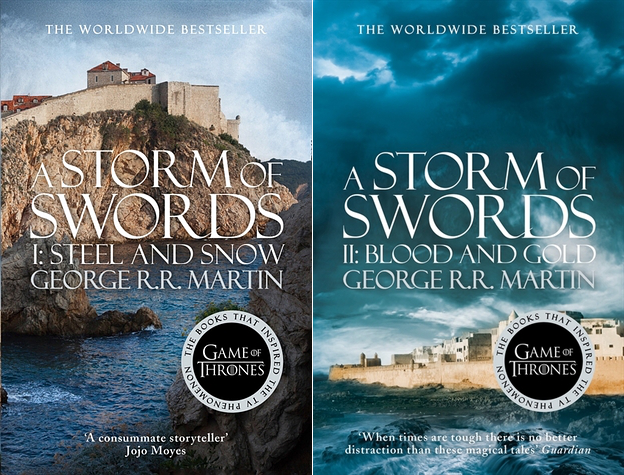 I am now 3 books into my #readasoiaf readalong attempt and, let me tell you, it’s had its ups and downs but I feel like now, finally, with A Storm of Swords, this is definitely a high. The first half of A Storm of Swords is, not going to lie, something of a slog, but it completely makes up for it in the proverbial shitstorm that is A Storm of Swords Part 2. All my patience thus far was rewarded, I got my Red and Purple Weddings I’d been waiting for, and also read some pretty damn amazing character development. Tyrion’s still on fine witty form too, so obviously this volume would make it into my favourites for August. And with this very first question comes one of the only drawbacks for reading so many wonderful books already this year. For the sake of not being repetitive Ithink what I’ll do is reserve some of what I would like to mention here for future questions, and in doing so I can narrow down my favourites to: The Bone Season by Samantha Shannon, Aristotle and Dante Discover the Secrets of the Universe by Benjamin Alire Sáenz, The Raven Boys by Maggie Stiefvater, A Darker Shade of Magic by V.E. Schwab. The Mime Order by Samantha Shannon. 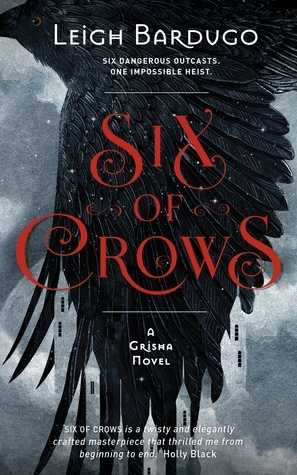 It might be the only sequel I’ve read (if we’re not counting re-reads), and I was very pleasantly surprised with the direction this story took given its change of setting (reversion of setting technically, I suppose) and with how well it worked as a sequel, especially considering how invested I’d become in the setting/environment of The Bone Season and the quirks of that. An Ember in the Ashes by Sabaa Tahir. Booktube has completely hyped this up for me but I must admit the premise still remains intriguing to me – an ancient Rome inspired YA dystopian fantasy book… yes one of that much done genre, but the Rome thing is something I’ve yet to read. Given my headspace currently is completely filled with Shakespeare’s Coriolanus it seems oddly fitting to allow myself a distraction that’s an interpretation of ancient Rome which is precisely what Shakespeare’s Roman plays also offer, admittedly in a very different genre. Possibly The Rest of Us Just Live Here by Patrick Ness? I have not read a single book, not even a single word, written by Patrick Ness and yet the premise of this book is at least moderately intriguing – what if you’re not the Chosen One, the one picked to save the world from vampires, werewolves, aliens, whatever, and fulfil your destiny as saviour of all mankind? So it seems to be a parody of the whole Chosen One narrative arc and to comment (hopefully) on the remarkable in the everyday and the mundane. So I’m definitely keeping an eye out for this one and, considering how it seems to take me a couple of months to even realise books have been released, I might get around to this in like December or something. Nothing has been hugely disappointing for me so I’ve had to be a bit picky with this question to choose something. I’d say A Game of Thrones was possibly a bit disappointing and that isn’t George R.R. Martin’s fault in the slightest, it’s 100% assuredly my own. I watched Season 1 of the TV show and then finally got around to reading this and, yes, it’s nice to have a more sustained narrative from each characters’ perspective but overall I didn’t really feel that this book added anything more to what I already knew, I felt like I was essentially just reading the TV show – which is probably less a disappointment and more of a testament to how well the first book was adapted for television, but even so I suppose that was a minor disappointment? The Graveyard Book by Neil Gaiman. I didn’t expect to hate this book at all, not in the least, since I think it’s well accepted that a Gaiman book is always a delight. What surprised me, however, was that this “children’s book” (yes I would dispute that categorisation to be honest) was honestly one of the best things I’ve read all year. It was so much more than what it purports to be and I found myself sad when I’d finished it because the story was over. Easily sneaked into my favourite books of all time and that did surprise me. V.E. Schwab I think fits this nicely. I’ve recently read A Darker Shade of Magic which I enjoyed immensely and which has persuaded me to pick Vicious back up after I had to abandon it because of university work. A lot of the reason I’ve come to like Victoria, however, is because of her Twitter which shows her amazing capacity for multitasking – I’ve never seen someone with such a workload consistently manage to motivate herself to simultaneously write her novels, edit her novels, promote her books, read others’ books, and complete grad school. Wow, just wow. Maybe Warden from The Bone Season? I’m such a predictable girl, it’s ridiculous. I find myself simultaneously unsurprised and disappointed in myself for this answer. For reasons why… should we start with the fact he’s not human? Also Gansey from The Raven Boys but, I mean, that’s a given, isn’t it? Private school boy, well-spoken, articulate, witty, searching the world for the ley lines which will lead him to the resting place of the sleeping ancient Welsh king Glendower (aka Owain Glyndŵr, I know my Welsh friend Sarah would kill me for using the Anglicisation)… um, yeah that’s the ideal list of qualities for me – sign me up (apparently). Can I just say all of the characters in A Darker Shade of Magic by V.E. Schwab? Kell with his fantastic coat, the thief Lila with her pirate aspirations, a prince who is (in Schwab’s words) “equal parts Prince Harry and Jack Harkness”, how could I possibly pick just one of the ADSOM gang? I even liked the villains with all their lovely/terrifying sadistic natures. The Opposite of Loneliness by Marina Keegan. I cried at the titular first essay so… there was no way I wasn’t going to continue to weep or, at the very least, have that lump-in-throat feeling. A lot of what Marina had to say about being in college and the scary unknowable country that is “the real world” and “the future” really hit home in a really simple and honest and real way. Against my better judgement, Soulless by Gail Carriger. It’s full of “British” stereotypes and turns of phrase that would ordinarily make me gag on reflex at how non-English people think English people speak – lots of “oh I say old chap” and “jolly good” etc. – but I mean it’s a book set in steampunk Victorian England populated by werewolves and vampires so I think at some point you have to just let it go and let it take you along for the ride, no matter how ridiculous it might be. And it is – this book is so ridiculous and fangirly and fanfiction-esque but you know what? I don’t care, I bloody enjoyed it. I’ve been a loner this year after all my university friends cruelly decided to move on with their lives and not lurk around Lancaster for another year of study, which has meant very little (to no) cinema trips. So I think the only book adaptation I’ve seen this year was the miniseries of J.K. Rowling’s The Casual Vacancy and I was very very pleasantly surprised, by both the book and what a good job they did translating it to the miniseries. Things were changed, characters cut, plot lines eradicated, but overall I thought it really captured the tone and point of the book and its diverse cast of characters (the casting was spot on). If I ever take the time to post a review on here rather than leaving it on Goodreads, chances are that I’m vaguely pleased with how it turned out. In that vein, I’m pleased with my review of Aristotle and Dante, other vastly different contenders are my reviews of Richard III, The Raven Boys, and The Wide Window. 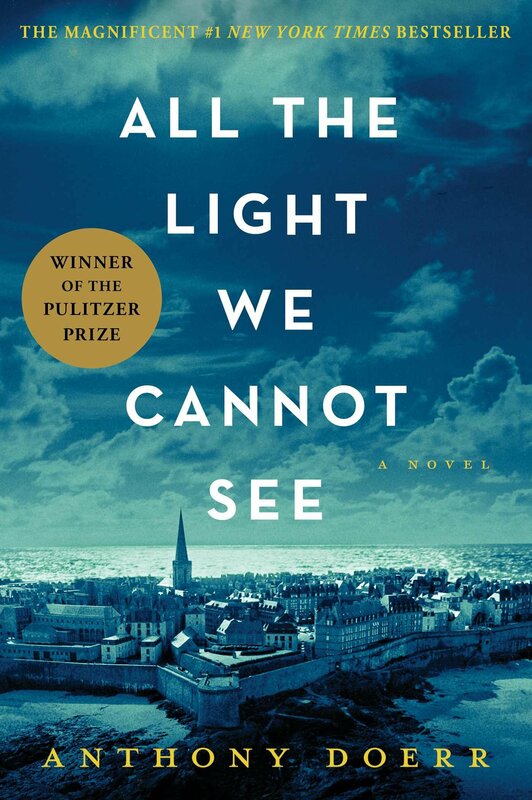 I’ve only purchased it yesterday and it hasn’t arrived yet but All The Light We Cannot See by Anthony Doerr which looks like this. 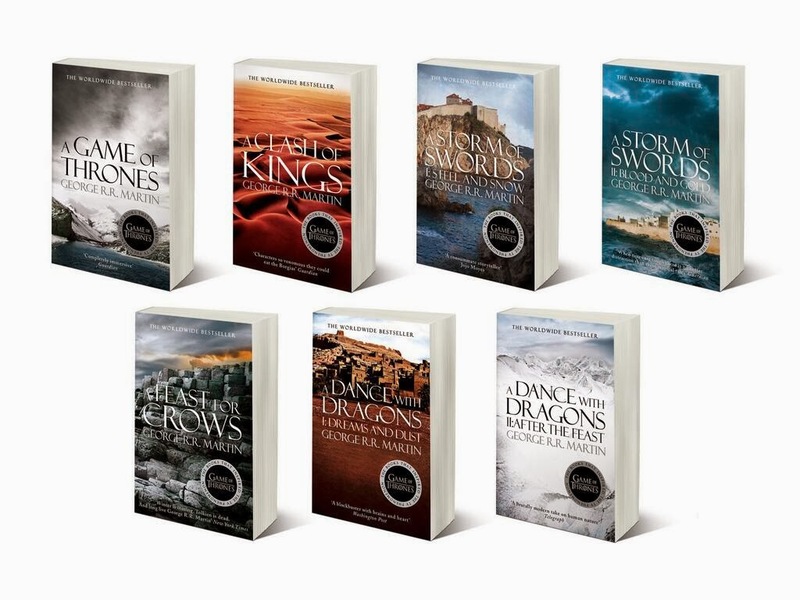 Also I am really fond of the reissued covers of the A Song of Ice and Fire series which look like this, so much so I went and bought the entire set without having even finished the first book. Apart from wanting to make a considerable dent in my TBR of books I physically own, I also want to clear some classics that I’m meant to have read; I’ve been saving the longer “project books” and my Dickens collection for wintery months and after I’ve graduated so I can devote all this looming unemployment to reading and crying about my lack of employability. Fun times ahead! And that’s the end of the tag, phew. That was a lot more fun than just going through and listing my goals for this year and comparing where I’m at to where I ought to be – it’s also a lot more positive than that would probably be! Anyone else done this tag? Link me if so, I’m curious/nosy as ever. And as always if you haven’t done it but would like to consider yourself tagged by me. So, we’re halfway through the year. I know, I didn’t realise either until I saw a spate of Top 5 of 2015 So Far videos and blog posts making the rounds. Because in my own little bubble of delusion it is not 2015, let alone July 2015, it’s just not, all the calendars in the world are lying to me. However, I’ll go along with this frankly ridiculous “fact” for long enough to me to jump on this bandwagon and talk about some of my favourite books of the year so far. These five books (or should I say “five”, you’ll see) were all highly enjoyable reads for me and scored 4-5 out of 5 stars so, you know, I liked them well enough to gush a little about them via Goodreads. I have enjoyed quite a few things lately and I want a manner in which to gush about them in a validated forum that isn’t just Twitter. 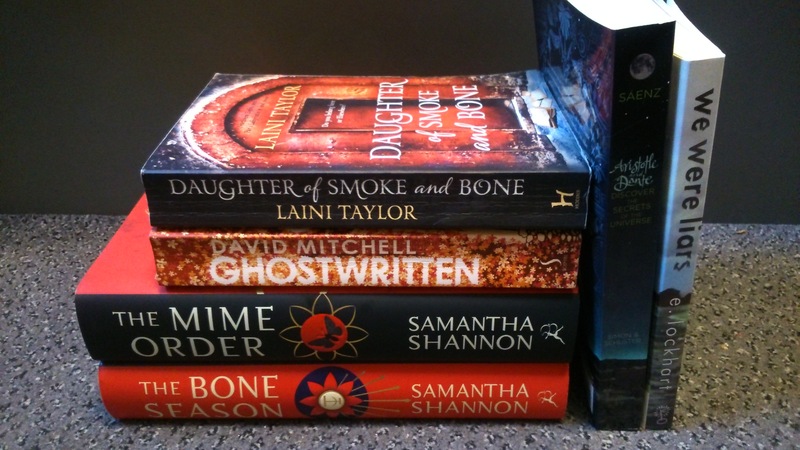 So here we have (drumroll please) my December Favourites. It’s a short list as I’ve been, well if not actually working on essays then pretending to be, working on essays so my TV and film watching has been rather limited. That being said, I just seem to have replaced the time I would spend watching TV shows with watching booktube videos so… oops? I kind of hate myself a little bit. I first heard this via Nick Grimshaw on Radio 1 and he pointed out the shudder-inducing title. I agree, Grimmy, but I also love it despite myself. ‘Funk’ does indeed describe this catchy song and I can’t stop chair-dancing to it. As I said, I hate myself for it but there you go, here’s just another reason to add to that list. I just can’t stop listening to it. Taylor, thank you. Also thank you for this video because never before have I wanted to be a parody of a maneater lurking in a fancy Gatsby-esque mansion, luring pretty model men to my humble abode whilst wearing couture. I want that for you, I want that for myself too, but, unfortunately, I am not you. Also if anyone wants to see something super cute you should watch her and Greg James lipsyncing to this song in a car – just watch it, and then watch the behind the scenes. Is this a surprise to anyone who has spied books I’ve recently added to my ‘to read’ list on Goodreads or to anyone who follows me on Twitter? I doubt it, but here we are: the smarty pants that is Ron Lit. She is smart, funny, cute as hell and just all round really really great. She talks about Austen and feminism and body positivity and oh, oh, she objectifies men, such as Mr Thornton, in a manner which I aspire to whilst also intelligently talking about people like Judith Butler and Nina Auerbach. And she once included Tom Hiddleston in a literary Kiss, Marry, Kill pot because she just wasn’t sure if he was actually real because he was so perfect – so like, Ronnie, I FEEL YOU. She also persuaded me to read Mansfield Park and it feels so different to other Austen I’ve read but I think I’m enjoying it so far so, yeah, she knows what’s what. Duh. This is definitely a book for booklovers out there. You know those lists on Goodreads titled books-about-books or books-set-in-bookstores,yeah, well this is one of them. What I like about this, however, is that it doesn’t denigrate technology in a slightly snobbish way that could happen. 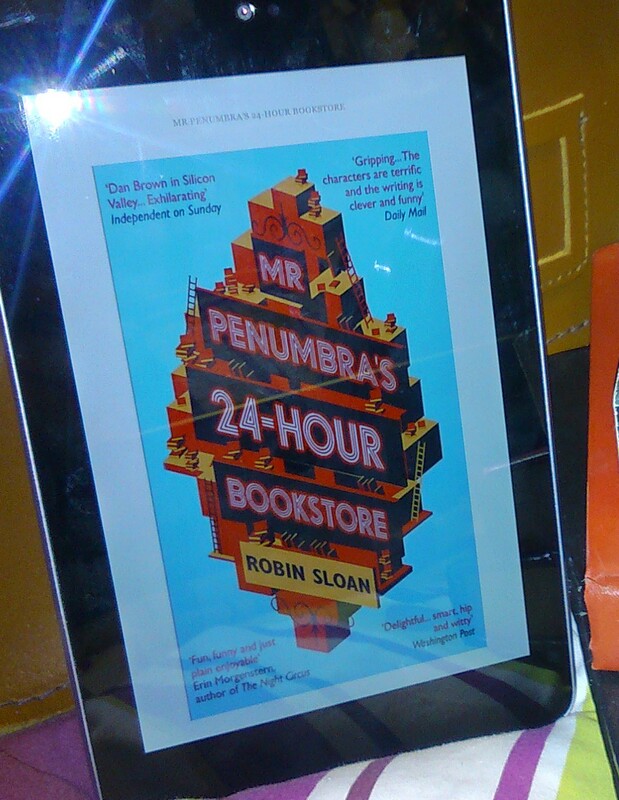 Instead, technology is incorporated to try to track the quests of those weird and wonderful characters that borrow books from Mr Penumbra, and ultimately to try to solve problems. Whether it is successful – well, you’ll just have to read to find out. I really enjoyed this book, I’d recommend it to everyone, and it was such a fun read.